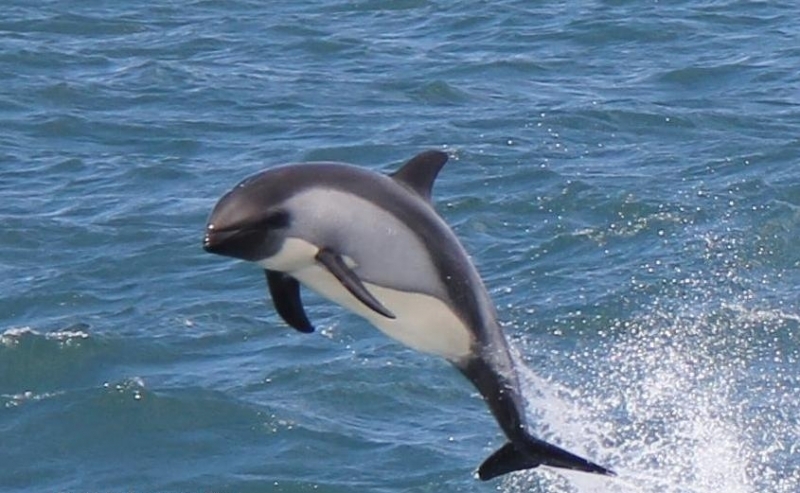 Chilean Dolphins also known as Black Dolphins, are small cetaceans with a stocky body shape and blunt beak-less heads. 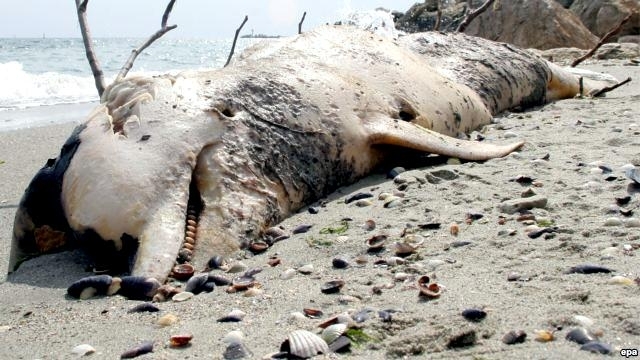 They measure about 1.7 meters long on average and reach 60 kilograms in weight. 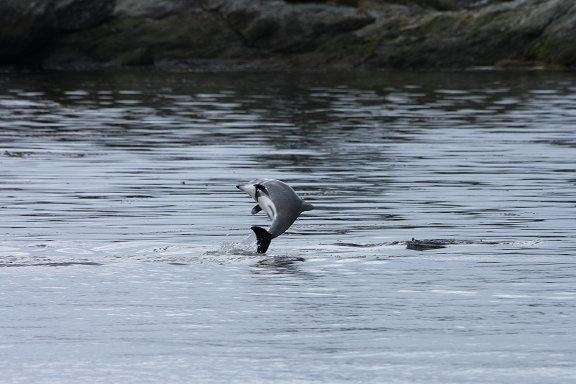 They have rounded flippers and a large rounded dorsal fin. 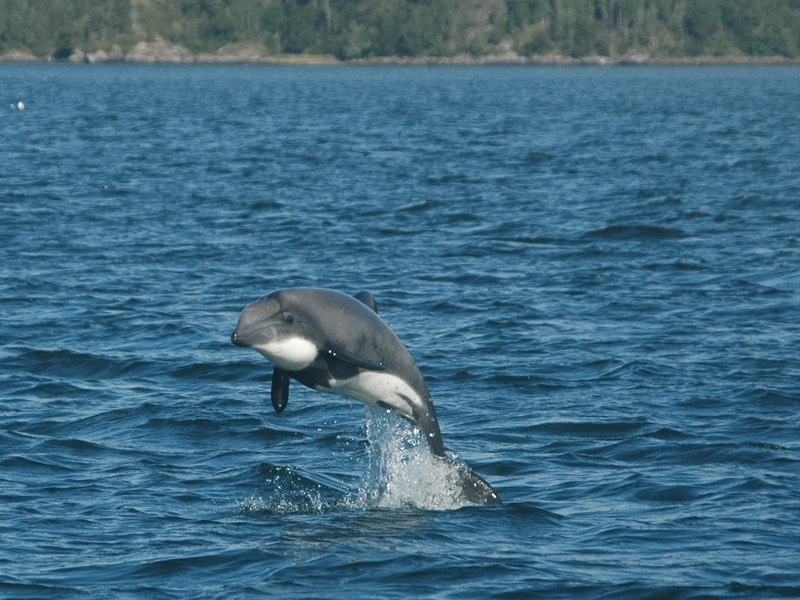 Chilean Dolphins are gray in color with lighter coloring on the ventral side. 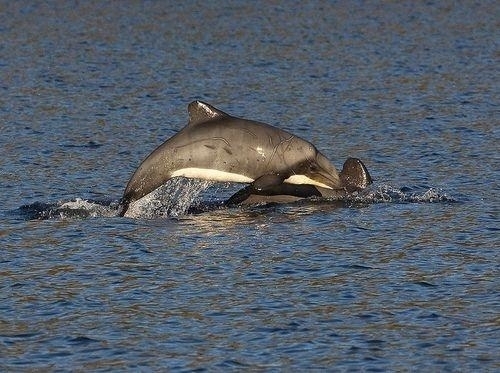 They have white markings on the lips, throat, forehead and behind each flipper. 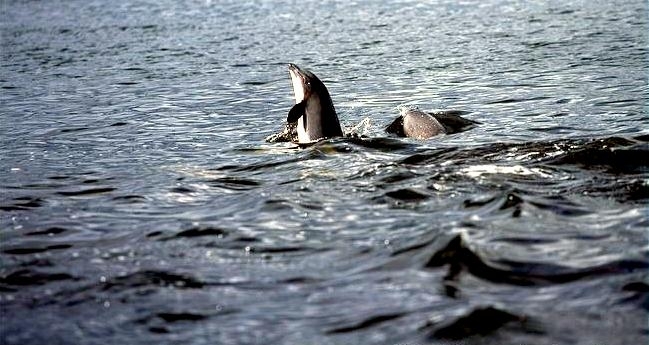 A darker gray band covers the throat across the body. 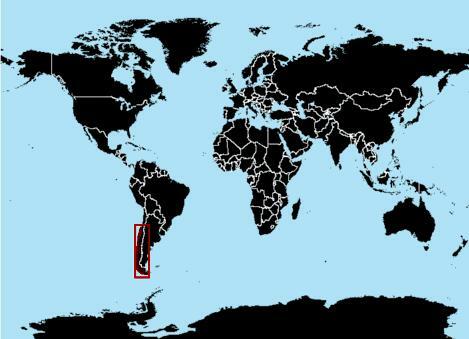 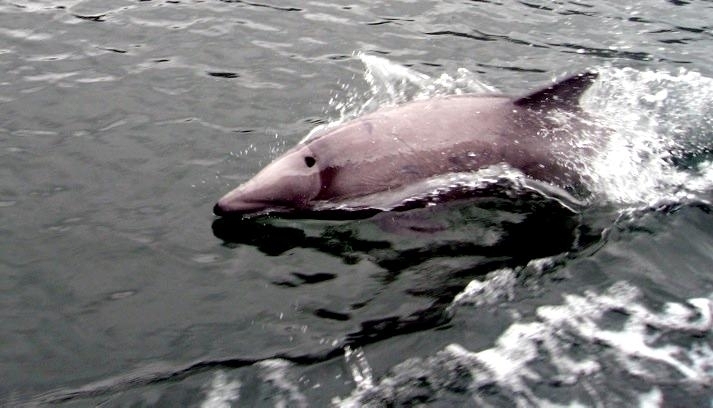 Chilean Dolphins are found in the shallow, coastal waters of South America from Valparaiso, Chile (33°S), south to Isla Navarino, Beagle Channel and Cape Horn, Argentina. 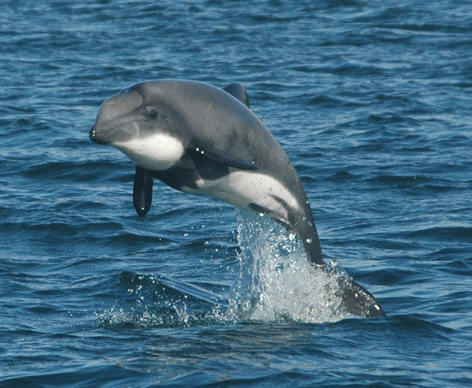 It is thought that this is a gregarious species as they are commonly found in small pods from 2-10 as well as large pods of 20-50 in the northern part of the range. 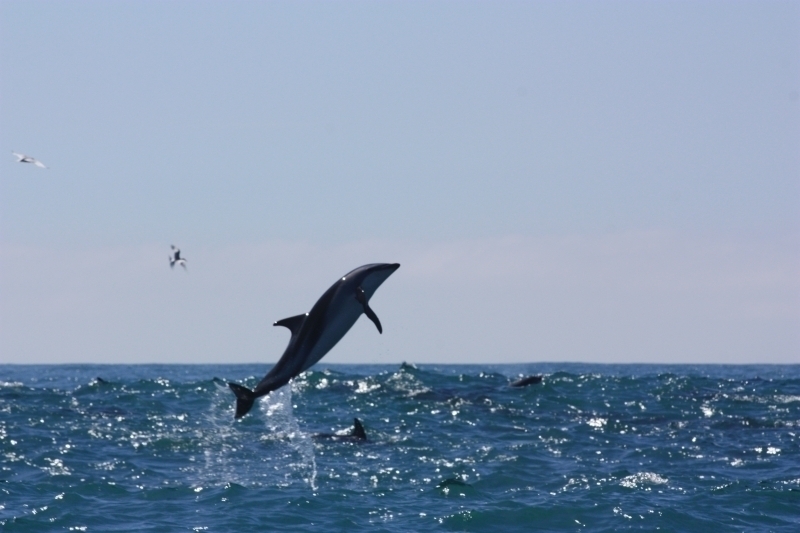 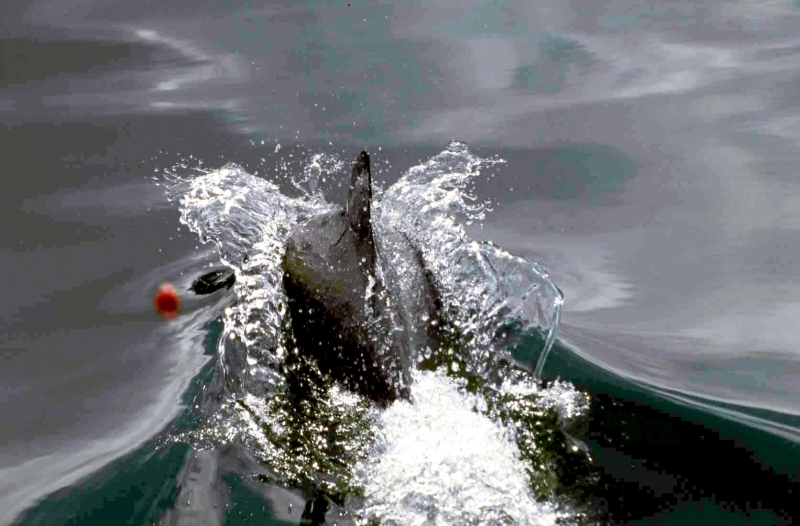 There are reports of larger pods, including a remarkable 15 mile-long pod of Chilean Dolphins near the shoreline at 39°22’S from a 1996 field research report. 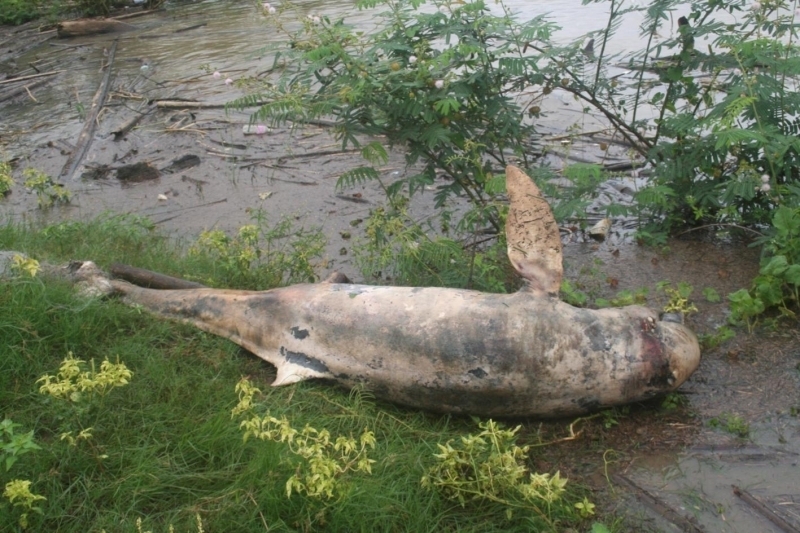 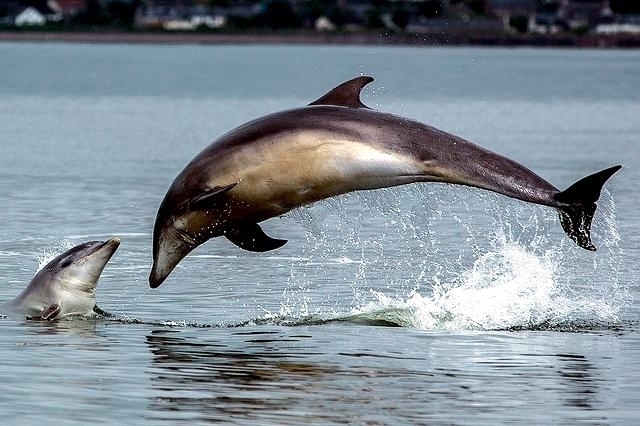 Exact population figures for this dolphin are unavailable. 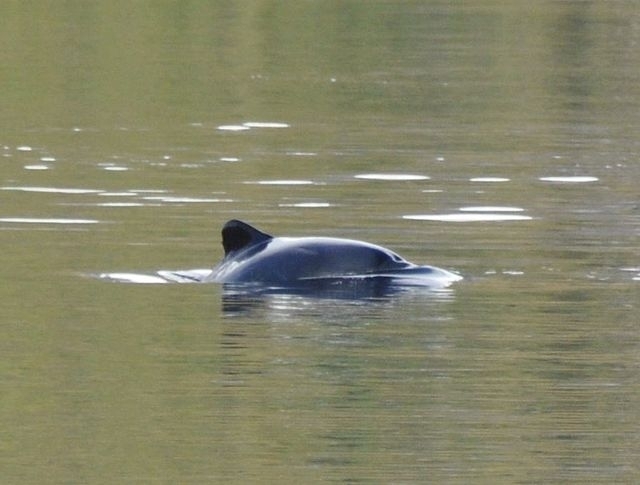 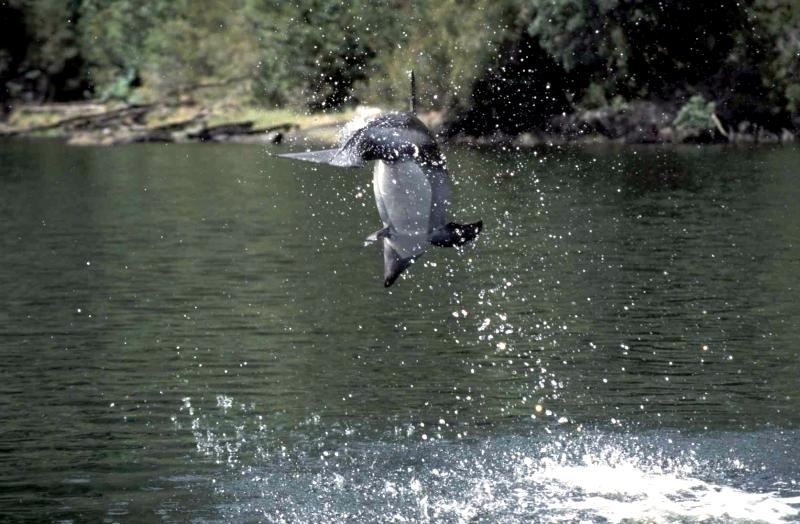 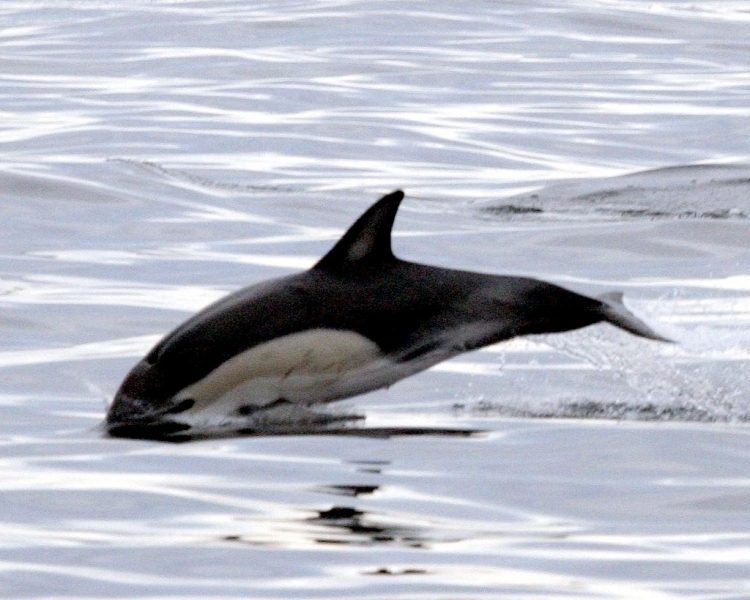 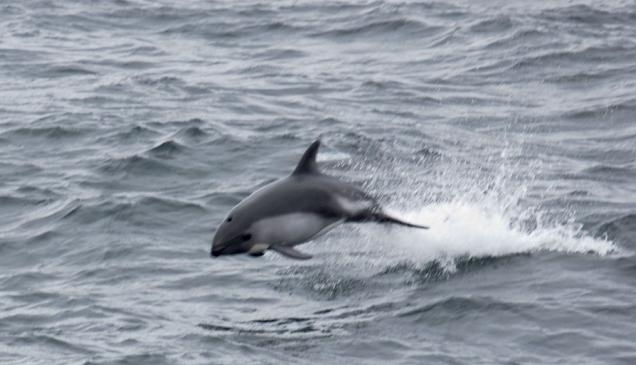 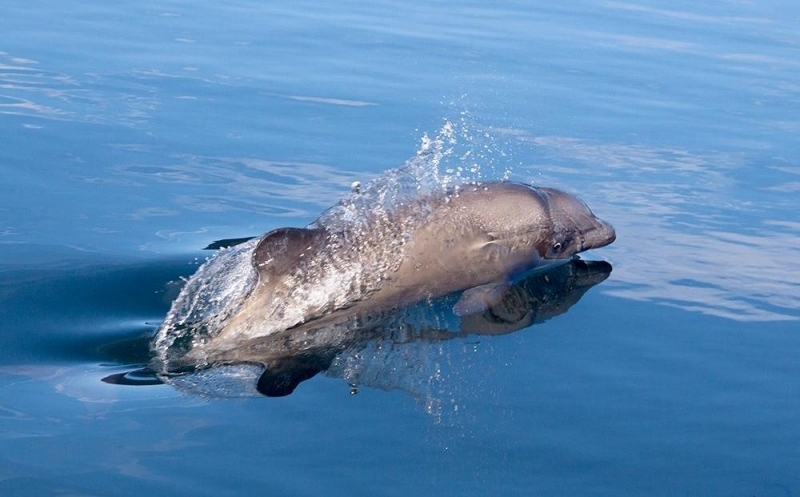 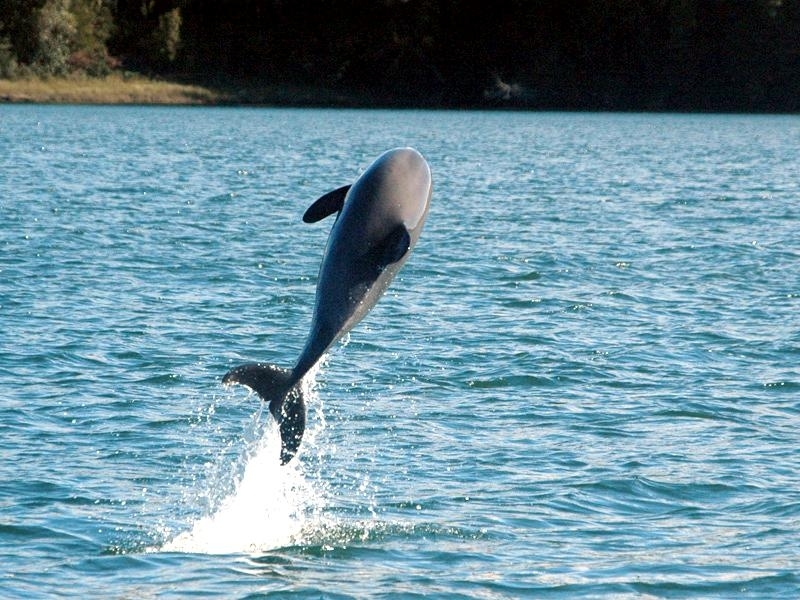 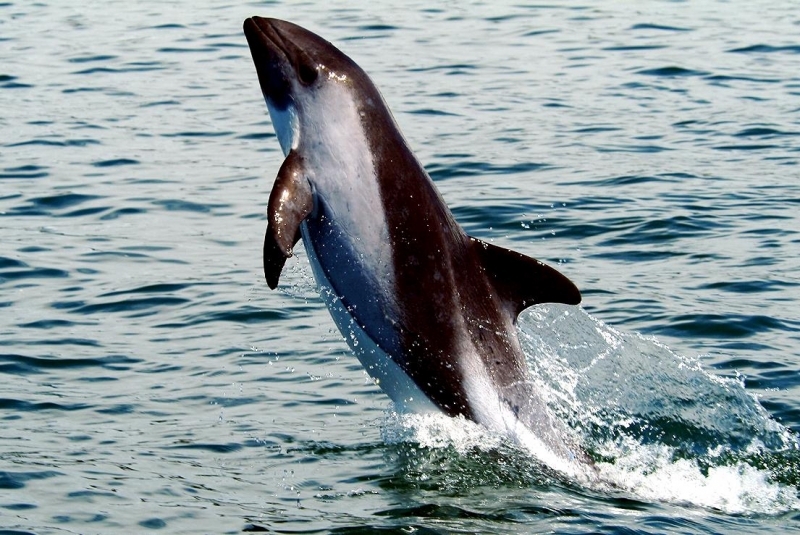 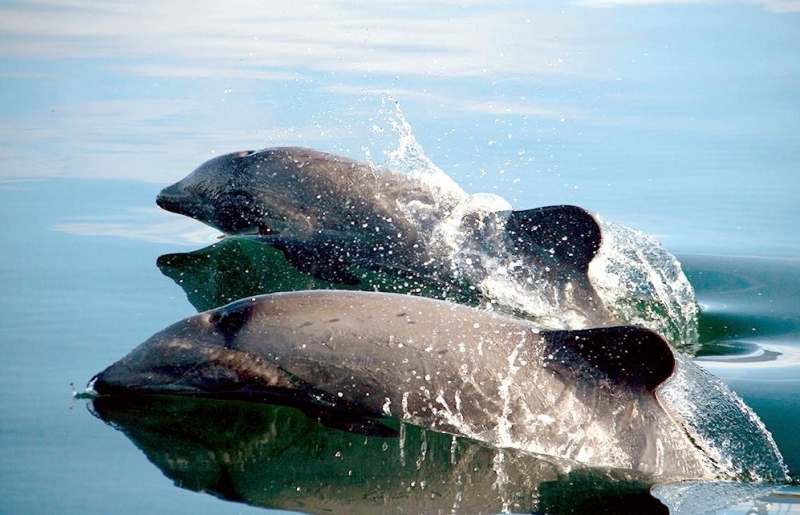 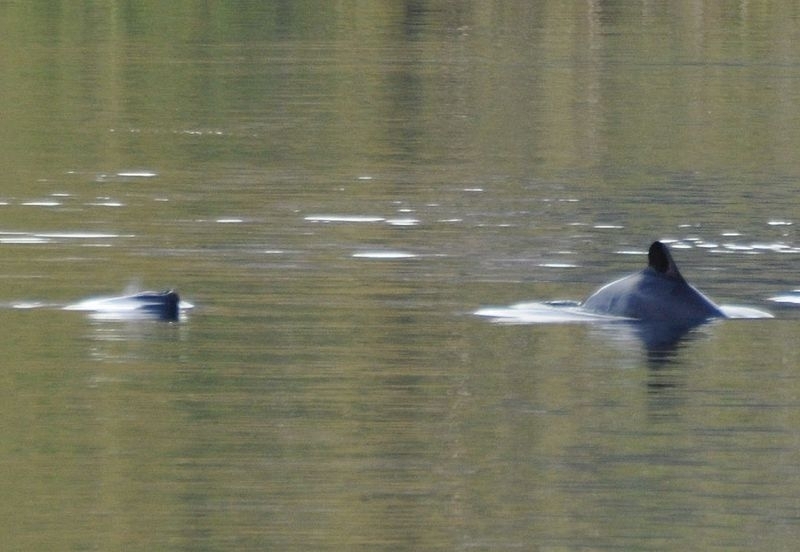 In Chile, research has shown that these dolphins are abundant in Valdivia, the Gulf of Arauco and near Chiloé where local populations seem to live year round. 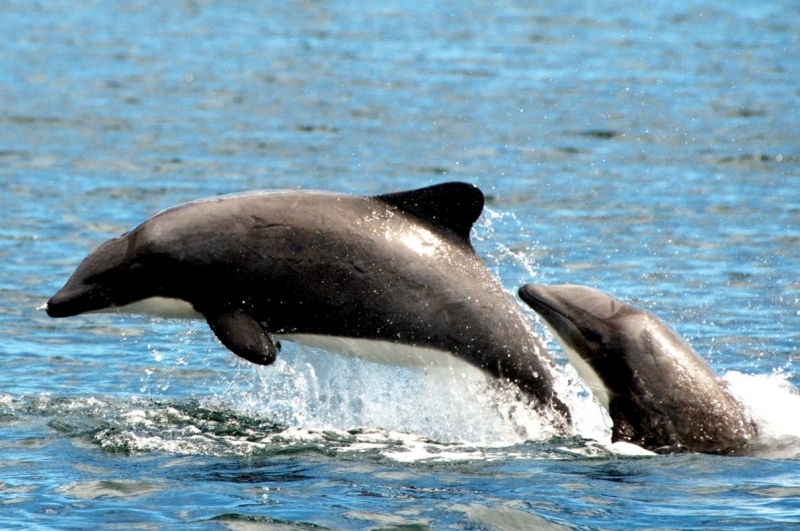 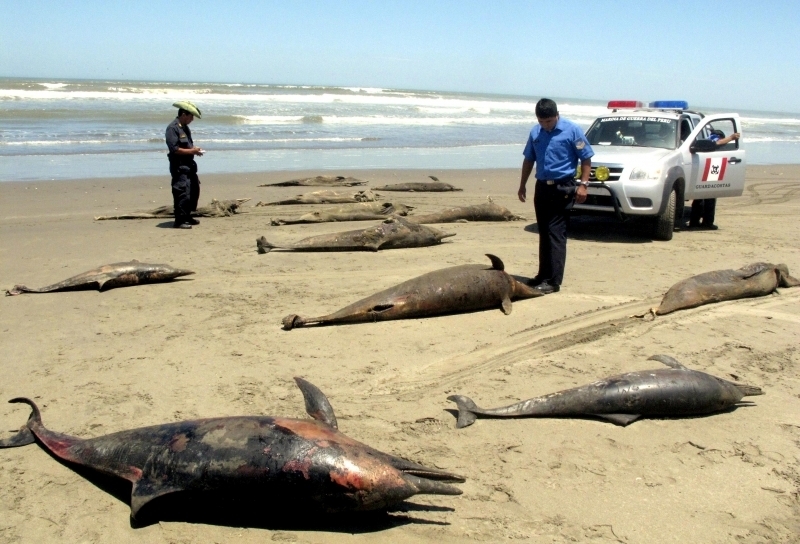 Chilean Dolphins inhabit shallow waters with strong currents and are known to enter estuaries & rivers. 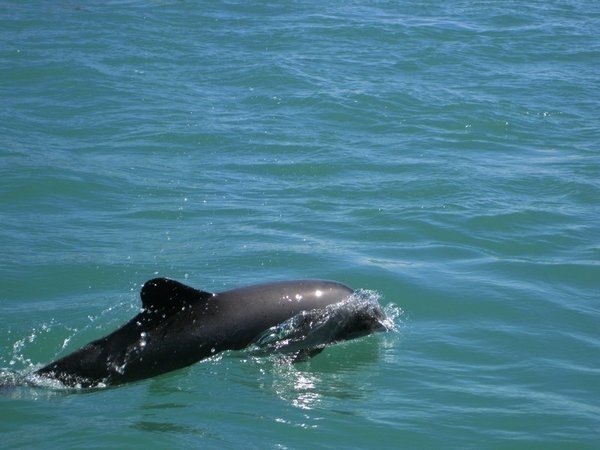 In the southern part of their range, Chilean Dolphins tend to be more wary of boats. 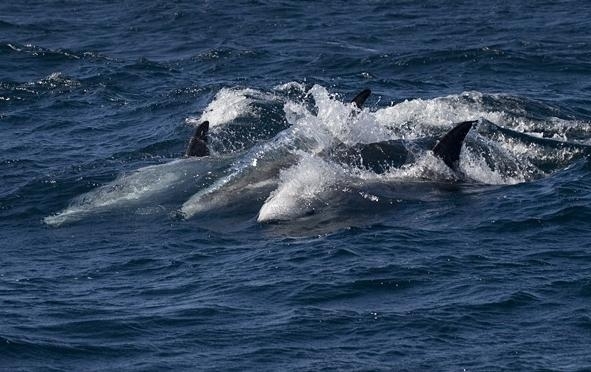 In the northern portion of their range however, they have been observed bow riding. 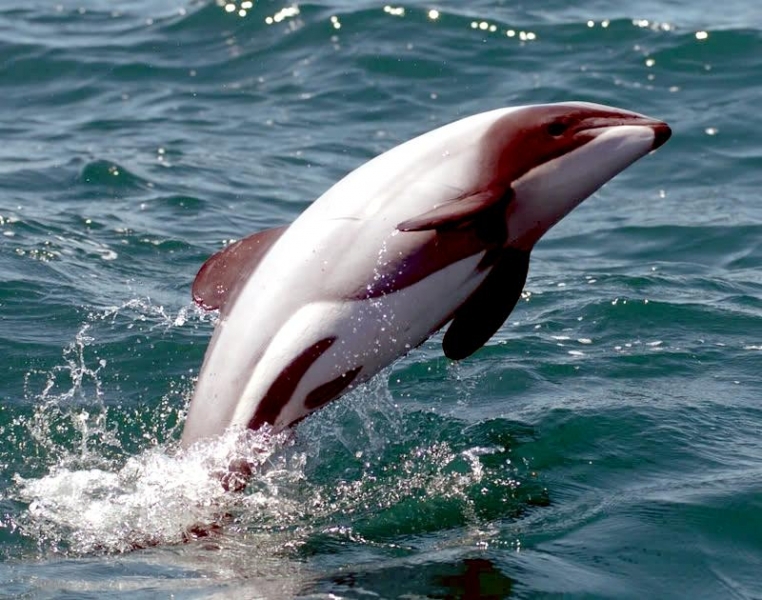 Chilean Dolphins feed on crustaceans, cephalopods and fish including such as sardines & anchovies and are also known to feed on green algae. 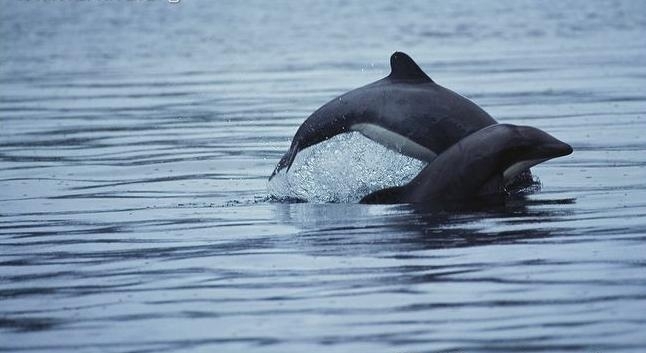 Chilean Dolphin reproductive patterns are unknown.